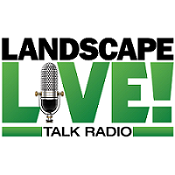 Last night on Landscape Live! Tom Canete, owner of Canete Snow Management in Wayne, N.J., shared a wealth of knowledge about how snow and ice managers can improve their efficiencies before, during and after snow events to protect their businesses while still maintaining profits. One of the many insights Canete provided revolved around preparatory training for his employees and his many subcontractors. About a month prior to snow season he rounds up his key people, rents a meeting room at a hotel and provides a full day of training, including catered meals. Canete and his managers conduct a PowerPoint presentation where they review safety procedures, paperwork and their expectations of what a quality job looks like. Although many of Canete’s employees have years of experience, he’s found this one meeting to be an excellent review as well as an opportunity to go over new policies and procedures. Although he says this meeting requires a significant expense, the cost is minimal compared to the cost savings associated with minimizing potential errors, customer complaints and accidents, either with vehicles or slip-and-fall injuries. Guest: Tom Canete, owner of Canete Snow Management, Wayne, N.J.